I’m working on using really catchy titles so people are outraged and want to read, and then really the entire premise of my post is opposite to the perceived stance of the title. Slimey, huh? A few weeks ago my brother and sister-in-law sent me an old iPod Touch they had lying around and weren’t using any more. For someone as poor as me and as obsessed with gadgets and toys as I am, I was incredibly grateful and excited, despite it being a second generation iPod Touch that can only support iOS 4.2. I immediately downloaded apps I had played and loved before (Temple Run, Fruit Ninja) and downloaded the big name social games that people were playing (Words with Friends, Draw Something). And as I started playing these games, I started thinking a lot about casual gaming, and thus felt prompted to rant about it here. Flashback: last Christmas, my parents got rooted Nooks with Android ported onto them so they could use them as tablets and not just e-readers. The backstory is that while both of my parents are savvy and intelligent, computers and technology in general aren’t really their thing. So, we thought this would keep them current and be useful for different things they like to do. Neither of my parents has ever really approved of any of their kids gaming, so when my mom started trying out Angry Birds on Christmas day, it was kind of surprising that she was enjoying herself. Jump back to the present, where I find out my mom has graduated from Angry Birds and now plays Draw Something. We’ve been playing for a few dozen turns now and every time I see a push notification telling me that she’s sent me a drawing, I get excited. My brother articulated it well by pointing out the excitement comes from the fact that she gets it. I don’t mean to belittle her intelligence (my mom is a smart, smart cookie), but there’s a learning curve to touchscreens and gaming and she seems to have picked it right up. The next milestone was that she had never played Words with Friends, but is a Scrabble champion and avid reader so I assumed she’d love to play the game. The catch was that she has always had my brother help her download apps (they live near each other; I am far away). Throwing caution to the wind, I told her via Facebook Messages that she should get the app and shortly thereafter she messaged me back and asked if it was the Zynga one. A few minutes later, I had a request from her to start our first game. Of course, I also received two other requests a few seconds afterwards, because she wasn’t sure if the other request had gone through, but these small steps were awesome to see. Hey, Laurie, what’s the point? Great question! The point is that gaming is awesome. All gaming, is awesome. And I say death to the casual gamer because there should not be any kind of label on what kind of gamer you are. You know how many hours I’ve put into Bejeweled? TOO MANY. But you know how many hours I’ve also put into the entire Zelda series and the entire Final Fantasy series, and Team Fortress 2 and the Grand Theft Auto series and the Mass Effect series and many others? A LOT. 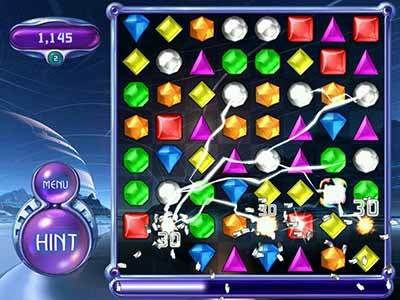 I say too many hours into Bejeweled just because it’s not my favorite game but sometimes I want to veg out and play something really simple, and for that I turn to my casual games. Damn this game for it’s addictive properties. And at the same time? GOD BLESS IT. Also, the label “casual gamer” detracts those who might be looking to get back into gaming. As people get older, unfortunately we just game less (although it might be a bell curve, because I gamed less during college, but have graduated and am going to town on gaming, but will probably game less once I get real responsibilities in life). If you played a lot of video games when you were younger, you know the label of “casual” is like the black spot, so you think “I used to game, but don’t any more” because no one wants to have to tell gamers “Oh, I game only every so often when I can.” That doesn’t deserve a label! That deserves a pat on the back to acknowledge the commitment to gaming even when free time is sparse. Good on ya, mate! We shouldn’t put you down, we should prop you up and let you know you’re welcome as a gamer and we don’t look at anything else like frequency of gaming; we only look at the fact that you game! And finally, casual games bring people together in much better ways than more labor and time intensive games ever could, and that is undisputed fact. And isn’t that the goal? For the rest of non-gaming society to realize that gaming isn’t a waste of time and it isn’t the ultimate evil that turns your kids lazy or homicidal – it’s just an outlet that can be really challenging and really engaging and really cathartic and really special and most of all, really fun? So if my mom has started to realize that (and to her credit, she probably already did to an extent. My dad was the one who really hated video games) through her Sudoku, Mahjong, and Draw Something apps, then god bless those casual games. There’s probably much more that could be said about this, but these are the main points I wanted to highlight. Based on some rumblings in the comments when I mentioned casual gaming in a previous post, I think I have some reader support behind me, but for those of you who can’t stand casual games or casual gamers, leave a comment! I love the discussion and would be ecstatic to hear more from you.